Brazilian Sports Minister Aldo Rebelo says his country no longer recognizes FIFA secretary general Jerome Valcke as a spokesman after Valcke slammed Brazil's World Cup preparations. 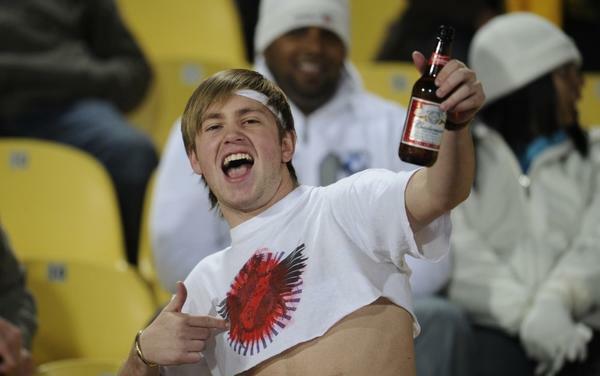 A soccer fan drinks beer before a 2010 World Cup soccer game in South Africa. Budweiser has been the official beer of the FIFA World Cup since 1986 — a role at odds with 2014 World Cup host Brazil's ban on beer at games. Late Tuesday, a special committee voted 15-9 to approve the sale of alcoholic beverages at Brazil's soccer stadiums during the 2014 World Cup, as well as the 2013 Confederations Cup. The measure now advances in the legislature; it will require a signature from President Dilma Rousseff before it is enacted. Alcoholic beverages were banned at Brazil's soccer games back in 2003, in a desperate attempt to reduce violence at its stadiums. As a recent report shows, that effort has had only marginal success — the country led the world in soccer-related deaths from 1998 to 2008, with 42 fatalities reported. But as it prepares for the 2014 tournament, Brazil is under intense pressure to revoke at least part of its federal ban. FIFA secretary general Jerome Valcke enraged many in Brazil Friday, when he said the country's organizers need "a kick up the backside" (one of several translations circulating), and other remedies for its poor effort in preparing for the tournament. Valcke, who is French, has since insisted that his statements may have come off as overly harsh only because of a poor translation of his remarks into Portuguese. He apologized for any confusion Monday. As for the beer issue, Valcke has consistently demanded that Brazil change its law. "Alcoholic drinks are part of the FIFA World Cup, so we're going to have them. Excuse me if I sound a bit arrogant but that's something we won't negotiate," he said in January. 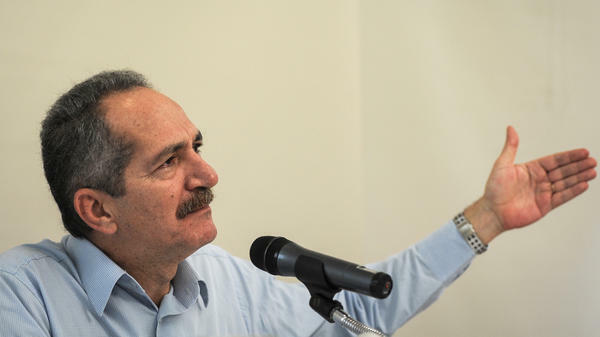 After Valcke's most recent comments, the Brazilian president's special adviser on international affairs, Marco Aurelio Garcia, called Valcke a bum (vagabundo), a colonialist, and a bigmouth (bocon). And Sports Minister Aldo Rebelo sent a letter to FIFA over the weekend to inform the organization that Brazil will have no further dealings with Valcke. The controversy has complicated things a bit for FIFA, which has promised beer conglomerate Anheuser-Busch InBev (whose roots are in Brazil) that Budweiser will once again be the World Cup's official beer — a role it has played since 1986. The relationship was recently extended to 2022. "FIFA receives tens of millions of dollars from Anheuser-Busch InBev - the giant brewing company which makes Budweiser - in World Cup sponsorship." "In South Africa in 2010, Budweiser was the only beer for sale in World Cup stadiums. Not surprising then that it outsold every other beverage on offer - sports drinks, soft drinks and bottled water combined." But the fact that Brazil's beer ban may be tweaked hasn't calmed the froth that built up between FIFA and the country's leadership. FIFA President Sepp Blatter says he needs to meet with President Rousseff, to apologize for Valcke's remarks. "Valcke has faced controversy before. He was the organization's marketing director in 2006 when it was fined $60 million by a New York court for violating a sponsorship agreement with Mastercard Inc. in favor of rival VISA Inc."
"Last year he had to write to 2022 World Cup host Qatar to clarify an e-mail he sent to a former FIFA vice president in which he claimed the gas-rich Gulf state "bought" the staging rights." Even if Brazil softens its stance on alcohol sales, FIFA's beer headaches aren't over. Both Russia, which will host the Cup in 2018, and Qatar have soccer booze-bans on the books.